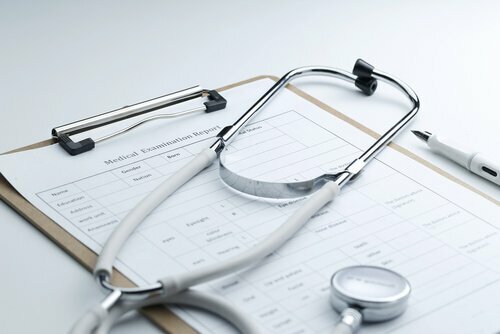 If there is a dispute about your medical condition in your workers’ comp case, the insurance company may ask you to undergo an independent medical examination (IME) by a doctor of its choosing. IME doctors provide reports that carry legal weight and can be used as evidence at your hearing to establish the degree of your permanent disability and how much you should receive in benefits. Because the outcome of these exams can greatly affect your workers’ comp case, it’s important to know the general purpose of these medical exams and how to prepare for them. Dwight A. Owens, MD is Board certified by the American Board of Independent Medical Examiners to perform Independent Medical Evaluations. He was forensic trained at Emory University and has decades of experience. He is highly sought after by many major fortune 500 companies, law firms and private payers to perform these type of evaluations. Please contact our office to schedule your appointment so we can assist you in all your needs. An independent medical examination (IME) is a medical evaluation that is used to resolve questions about your medical condition, including what treatment is necessary and the degree of your permanent impairment, if any. An IME is most often requested by the insurance company when there is a question about what treatment you need or what permanent disability rating you should be given. In some cases, the judge or hearing officer assigned to your case may also order an IME to resolve a disputed issue related to your case. An IME is supposed to be an objective assessment of your medical condition, including what treatment you need, whether you have a permanent impairment and to what degree, and your ability to work in the future. However, whether your IME is truly objective may depend, in part, on how the IME doctor is selected. Most often, an IME is requested by the insurance company because it disagrees with your course of treatment or your permanent disability rating, as determined by your treating doctor (the one who regularly treats you for your work related injury). If this is the case, the IME is usually performed by a doctor selected by the insurance company. These doctors are paid by the insurance companies and often rely on the insurance companies for referrals. As a result, they have an incentive to minimize the scope of your injury to lower your workers’ comp award. Before the examination occurs, your medical records and any other documents relevant to your injuries (such as your injury report or statements you’ve given in your case) will be sent to the IME doctor. The doctor will decide whether to review the documents before or after the examination. If there is a hotly contested issue in your case, the insurance company may write a letter to the doctor explaining your injury, summarizing your course of treatment to date, and posing specific questions about your medical condition. These questions are used to frame the issues for the doctor. For example, the doctor may be asked his or her opinion about whether your current symptoms are related to your work accident or whether a surgery recommended by your treating doctor is necessary. During an IME, there is generally no expectation of a normal physician-patient relationship. This means that anything you tell the doctor is not privileged or protected in any way. Your statements to the doctor could even be used against you at a workers’ comp hearing if your case gets that far. The same goes for observations the doctor makes. For example, if the doctor sees you walking normally from your car to the office, but then sees you grimacing with pain and favoring one leg in the office, he or she will make a note of that. You can bet that this inconsistency will show up in the doctor’s report, and the judge or hearing officer will take this into account when assessing your credibility. You should ask questions about your condition and any potential treatment options that might help. If the IME doctor will be giving you a permanent impairment rating, you should ask how the doctor will calculate the rating. You should also be sure to tell your doctor about any areas of your body that are still in pain and about any activities that you still have difficulty performing. Once your physical examination is done, the IME doctor will write a report and send it to all parties. You should request a copy of this report and read it carefully so that you can point out any factual mistakes in your treatment or medical history. However, there are some situations where it will be effective to challenge the IME report. For example, if the doctor’s opinion is based on incorrect information about your medical history or there is some other factual mistake, you should make that clear right away. You should write a letter to the doctor and the insurance company explaining the factual mistake and supporting it with documentation from your medical records, if possible. You should request that the doctor clarify his or her report through an addendum. In some states, you can also request a second medical examination, performed by a doctor of your own choosing. If you dispute the statements in the IME report and cannot get the issue informally resolved, and the IME is being used against you to limit or cut-off your benefits, you should consult with a workers’ compensation attorney right away. An attorney can help protect your interests by filing objections, scheduling a deposition to question the doctor, or requesting another examination.